A music box is a keepsake to treasure, marking a special day or occasion and designed to hold coins, jewelry, and mementoes, creating a lifetime memory. After receiving this as a gift the recipient may insert a favorite personal photo in the frame. 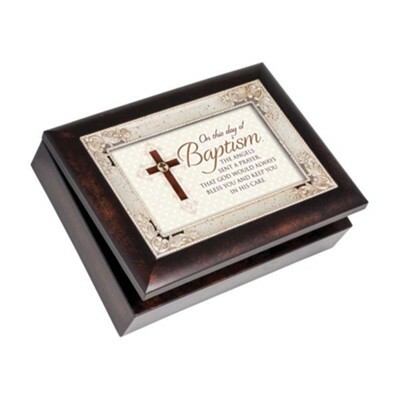 I'm the author/artist and I want to review Angels Sent a Prayer, Baptism Music Box.